NEW WESTMINSTER, BC (April 19, 2016) — The Arts Council of New Westminster is proud to present HighPower: Unfolding Beauty from Destruction, a solo exhibition by local artist Kathleen Forsythe, on display in The Gallery at Queen’s Park from May 4 – 29, 2016. Join us for the Opening Reception on Wednesday, May 4, from 6pm to 8pm. In HighPower, Forsythe explores new media with a series of deconstructed images she composed using an iPad. The exhibition features digitally composed abstract expressionist paintings printed on metal and acrylic, inspired by the debris from explosions at the High Power Lab at BC Hydro’s R&D division in Surrey. As part of Litfest New West, Forsythe will be presenting a Sunday afternoon artist talk in the Gallery entitled ‘Journeys to the Lands of New: A Multi-Media Talk on the Imagination’ on Sunday, May 15, at 2pm. The artist talk will be followed by a wine and cheese celebration at Centennial Lodge from 3pm to 5pm. ABOUT LITFEST NEW WEST: LitFest New West is New Westminster’s annual literary arts festival. Originally started in 2009 as The Royal City Book Festival, Litfest celebrates the written word. 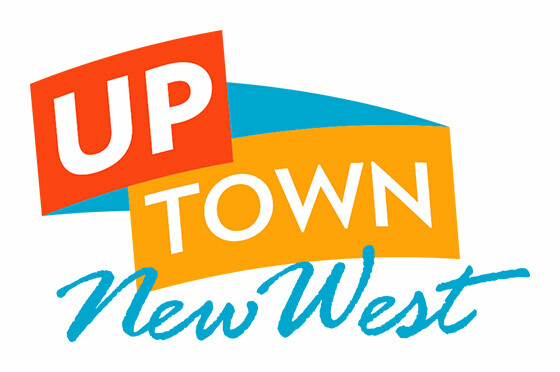 Presented by The Arts Council of New Westminster, Royal City Literary Arts Society, New Westminster Public Library and Douglas College, Litfest New West features readings, interviews, workshops, performances, talks, and poetry for the enjoyment of readers and writers alike. ABOUT THE ARTS COUNCIL OF NEW WESTMINSTER: Founded in 1967, The Arts Council of New Westminster is an umbrella organization built by individuals and member groups who share an interest in visual, performing and literary arts. The Arts Council’s role in the community is to advocate for the arts at all levels of government and to foster support for anyone engaging in artistic and cultural endeavors.